Tri-Tip Tues and/or Thursday returns. We are looking for guest contributers, so if you want to play just let us know. And please pass the tri-tip. Entrepreneur Tip- Look at LinkedIn Again. LinkedIn recently got a lot of press with it's IPO. Leading up to the IPO were some recent changes that made the site a lot more user friendly and productive. Linkedin recently changed the option to their groups to be viewed public vs. private, which allows for conversations to happen between unknown members. Therefore, posting your blog, press release, and content to the groups is a great way to get traffic and interaction. We have gotten noted traffic and response from the CraigGFrancis.com blog, which is niche-specific to SBA Lending. TWITTER TIP: Connect your LinkedIn account to your Twitter account. You can also opt to only post those tweets that have the #in hashtag (for LinkedIn). To do this go to Account Settings and under Profile Settings click “Manage your Twitter settings,” then check the appropriate box. My challenge with LinkedIn in the past was that it was too business oriented. I felt like there were a lot of resumes being created and we all had a difficult time getting into a conversation with anyone new. Without paying for a subscription you were limited in what you could do. That has changed now. ADVANCED TIP: Start a group and/or add a paid subscription to linkedin. Starts at $19.95 a month. Entertainment Tip - Update your Bio / Picture and make it available and searchable online. Make sure that you have a well-written Bio, picture and ideally a video available online via your website, blog, bio, profile etc. ADVANCED TIP: Create a downloadable EPK (Electronic Press Kit) that’s made available via a downloadble link, jugglemail or FTP. KMG HELP: Stephen Prendergast, our writer/editor, is available to help you create or improve your bio piece. Contact us at KMG for more information. Click Here to Email Stephen Prendergast directly. E-Marketing Tip- Try Groupme and focus your social media activity a bit. TIP: Join Groupme and start a group. You can check your gmail contacts and/or create a group manually. 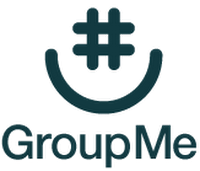 GroupMe is a project that allows users to create groups to be created via text and then you have the ability to interact with that group on an ongoing or short basis. This allows you to create text groups based on work groups, events, teams, a night out, etc. GroupMe groups are limited to 25 for now. They suggest a group of 4-10 as managable. As Social Media gets bigger our need for smaller groups becomes more and more apparent. Projects like GroupMe are addressing this issue by creating smaller groups via texting. We're going to see more productivity from groups like this. Try it and you’ll see what I mean. David Kamatoy 1 is the initial Group created on GroupMe to interact with our network and those who want to connect on entertainment, entrepreneurship and emarketing. GroupMe was founded by Jared Hecht and Steve Martocci in the Summer of 2010 andinspired by a project conceived at the TechCrunch Disrupt Hackathon. KamatoyMediaGroup.com New! 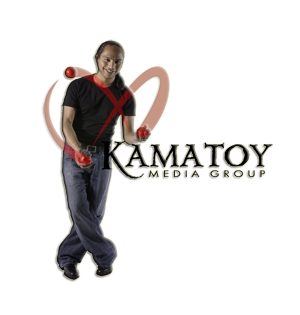 Kamatoy Media Group Site us up. Jugglemail.com 3.0 is here. We are still updating the site. SweetLifeDeli.com New! Restaurant Deli Project in play. WrongButFunny.com continues to engage lol. Blog This episodes return in June along with a ton of new content. We recently finished 2 large projects that took much longer than anticipated. In doing so it finally clears the way to create Blog This Episodes, new videos, etc. We completed several new videos as well which will be propogated in the following weeks. This Quarter is going to ROCK! 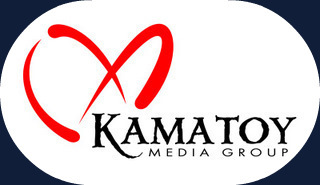 KAMATOY MEDIA GROUP is a media and business development group. CALL 619-573-9456. We strive to create scalable budgets with the obvious goal of increasing database, sales and clients. This email was sent by David Kamatoy at 30 N. Gould Street Suite 2248 Sheridan, WY 82801.